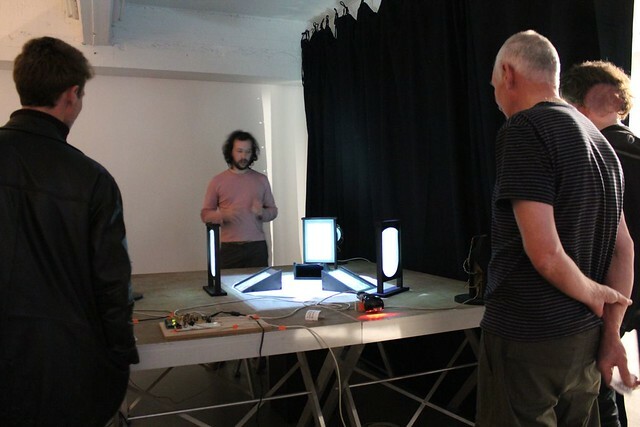 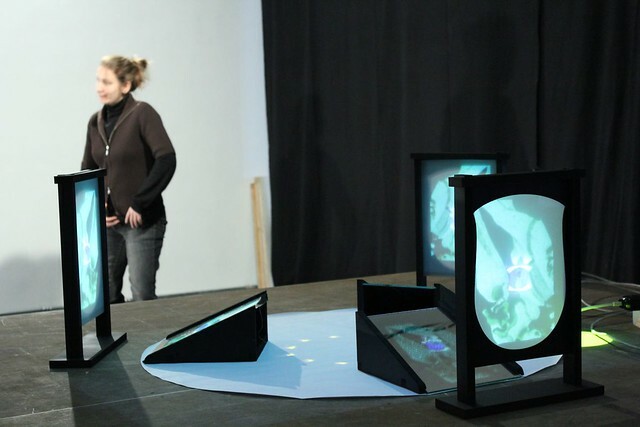 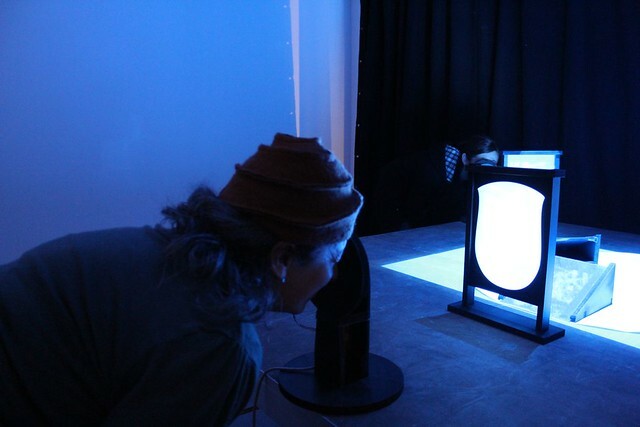 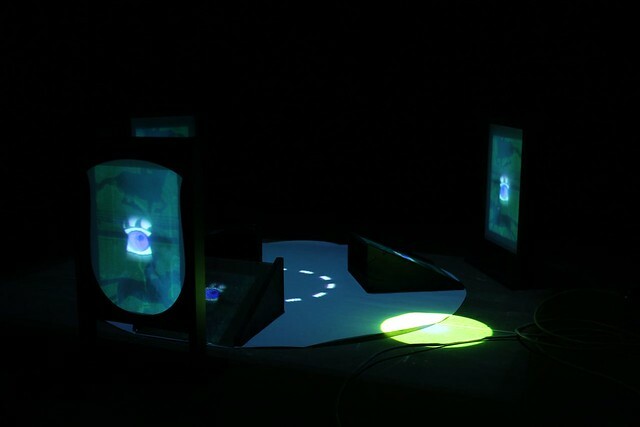 This installation in 2 parts invites the spectator to decompose and record its own 12-images body animation, that will be displayed through a modernised zoetrope, a sculptural device mixing sounds and visuals. 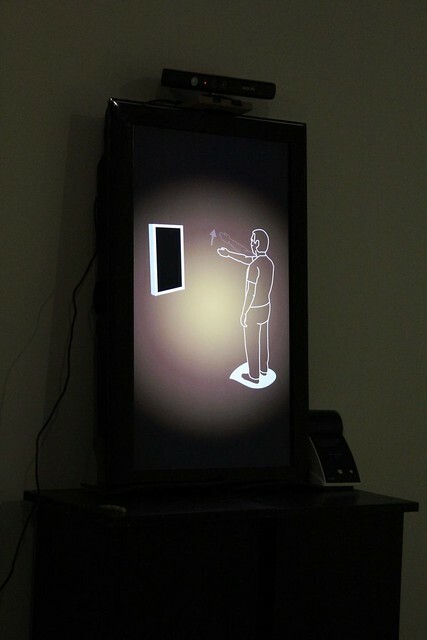 The animations are posted to the 12i website, where you can see and share your own animation, as well as others’. 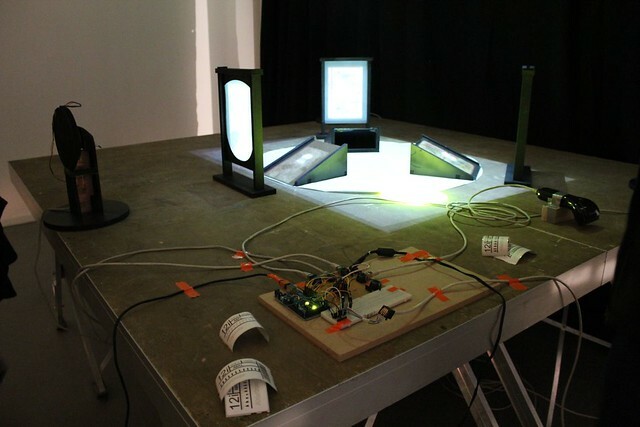 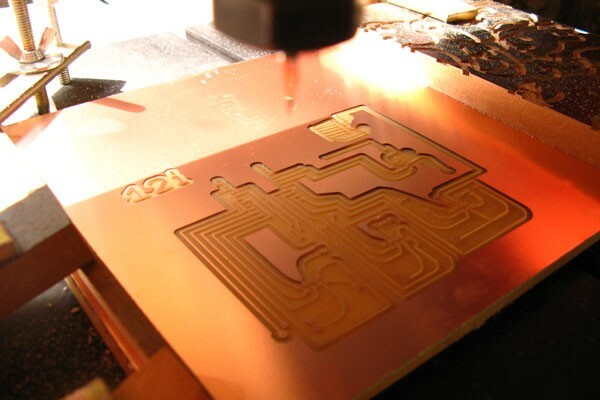 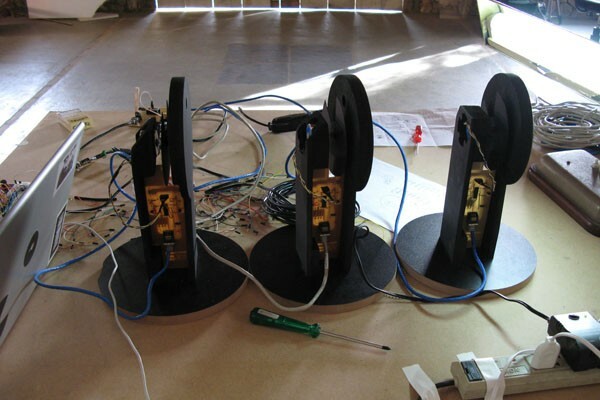 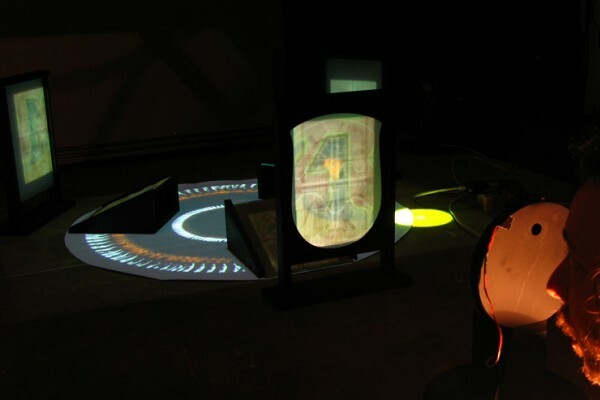 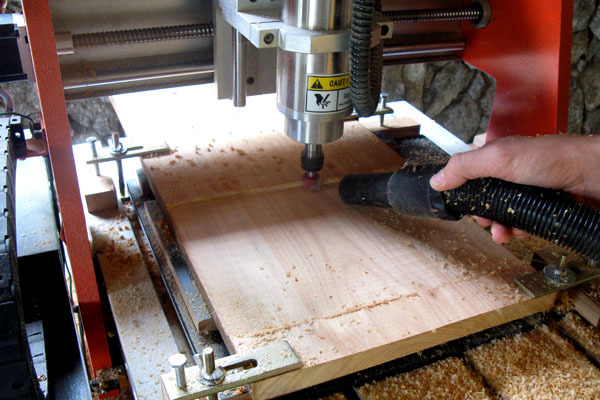 To build 12i, Marcio developed an approach based on personal fabrication, with a computer numerically controlled (CNC) milling machine able to make all the static and moving pieces of his installation from 3D files, as well as the printed circuit boards for the electronics system. 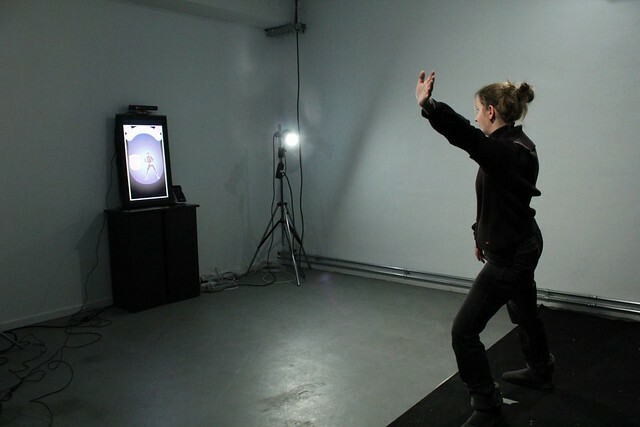 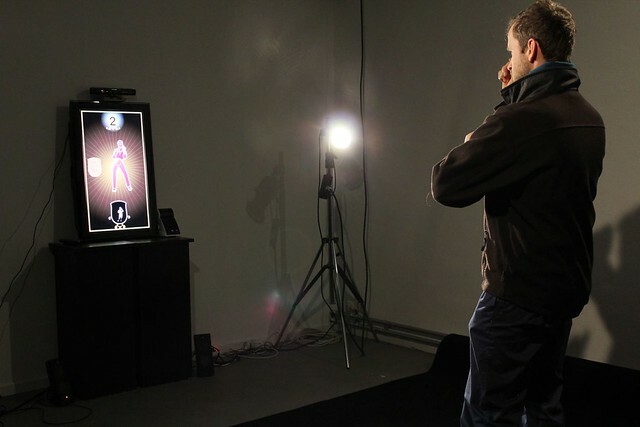 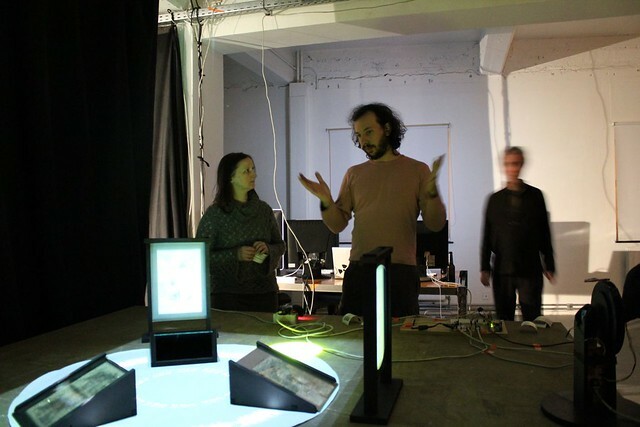 The use of the new Microsoft Kinect allowed to develop full body user interactions. 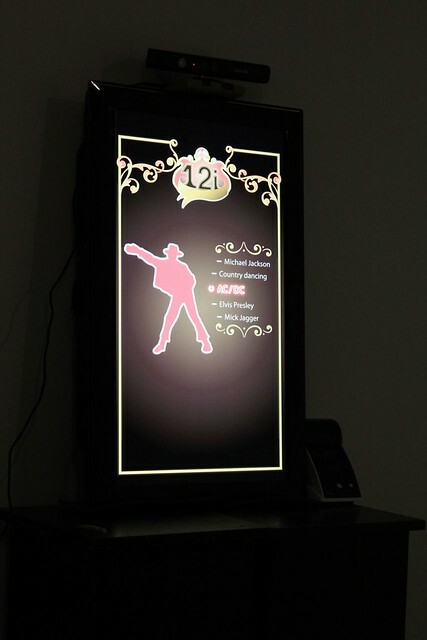 12i is designed and produced by Marcio Ambrosio in collaboration with Yacine Sebti (interactive development) and Sophie Klecker (web development). 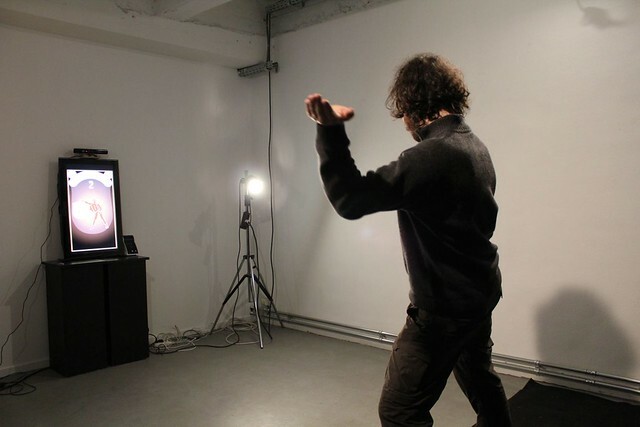 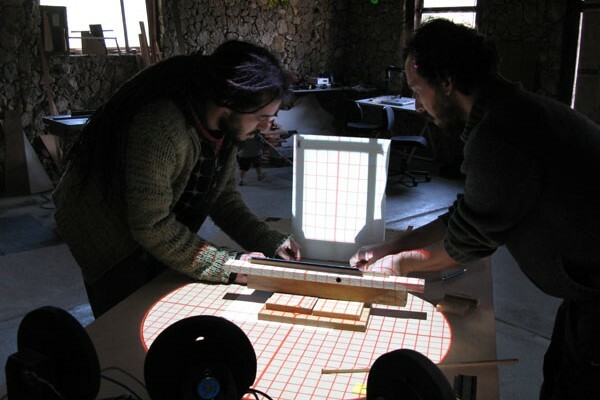 12i receives the support of Itaú Cultural and iMAL (through this residency). 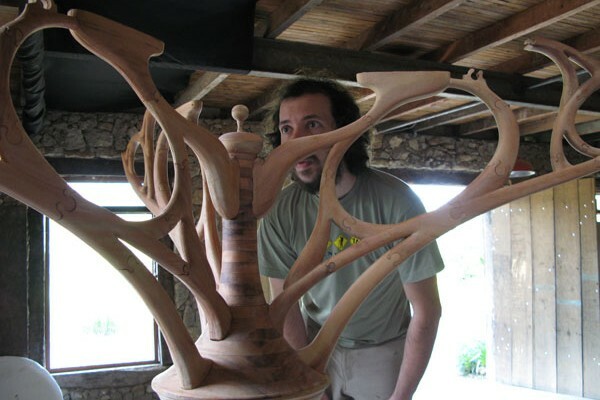 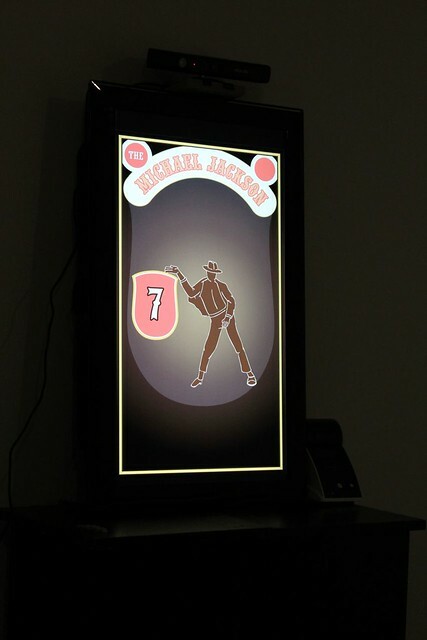 It will be exhibited in Sao Paulo (Brasil) in July-August 2011. 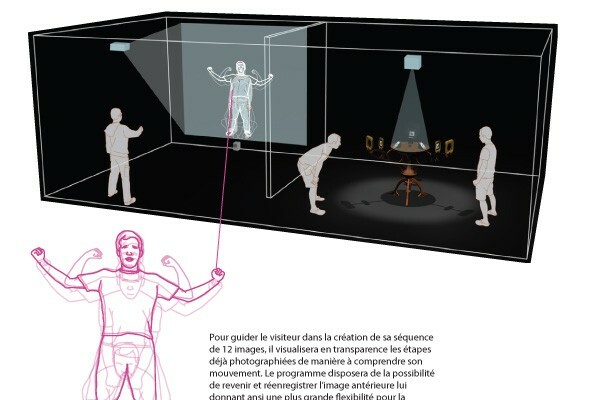 Professional “preview” presentation on Wednesday 2nd of February (invitation-only, please contact Marie-Laure).